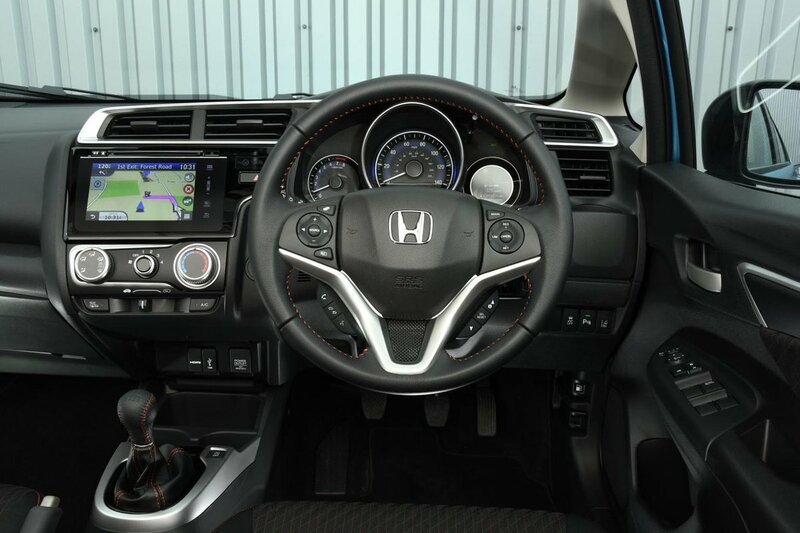 Honda Jazz Interior, Sat Nav, Dashboard | What Car? Every version of the Jazz has a generous range of steering wheel and driver’s seat adjustment, so getting the driving position just right is extremely easy. However, the driver’s seat isn’t especially supportive because it's poorly padded around the lower back and sides. Fortunately, the pedals line up nicely, so the driver doesn’t become too uncomfortable on long journeys. A front centre armrest is standard, but short-legged drivers will find that it doesn’t extend forward enough for their elbow. Impressively, front and rear parking sensors are standard from SE trim upwards. However, regardless of trim level, the Jazz is easy to thread along busy urban roads and park in cramped multi-storey bays. This is because its windscreen is tall and wide, while its front pillars are slim enough that they don’t obscure your vision. The front side windows are deep, too, and provide a good view of roundabouts and T-junctions. There’s more good news when it comes to over-the-shoulder visibility. The rear screen and side windows are uniformly deep, while the rear pillars are slim and upright. The rear windscreen demister is quick and effective. 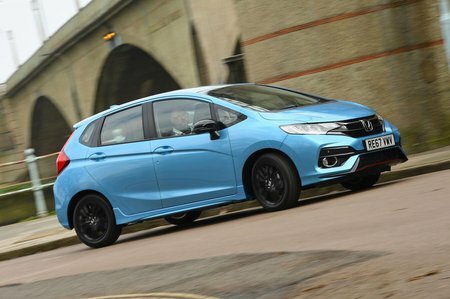 Not surprisingly, in terms of infotainment, entry-level S models are the most basic in the Jazz range. Even so, they have a colour screen controlled by two rotary dials, and with surrounding shortcut buttons. Bluetooth, a DAB radio, Aux and USB connections, four speakers and a multi-function steering wheel are standard. Spending a little extra on SE trim – which we’d recommend you do – brings a larger, more advanced 7.0in touchscreen system with a CD player and an additional USB connection. This system allows greater integration of your smartphone and supports certain apps on the screen, but not Apple CarPlay or Android Auto. Sat-nav is optional on all but entry-level S models. It’s an improvement, but the 7.0in system still lags some way behind rivals. The graphics are a bit fuzzy and dated, it’s not particularly responsive and some of the menus can be confusing. The Volkswagen Polo and Seat Ibiza are still the best for infotainment in this class, and even the Ford Fiesta trumps the Jazz in this area. 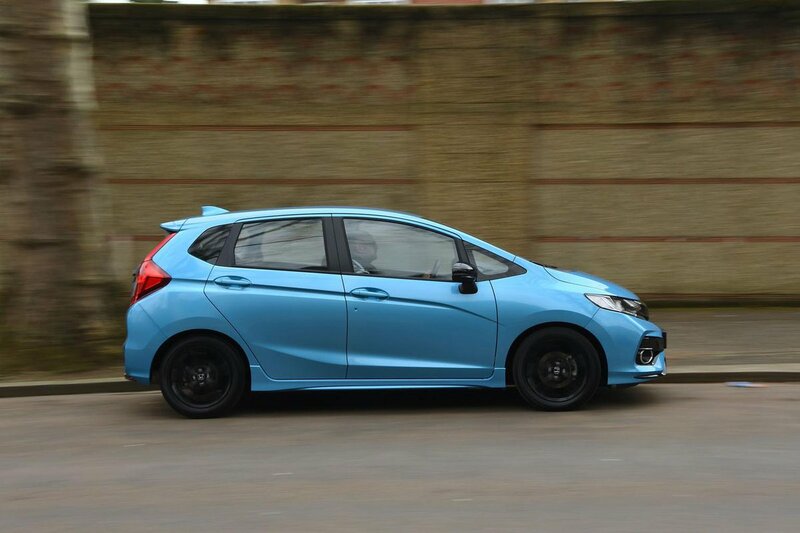 The general look and feel of the Jazz chimes with the model’s practical nature. That’s not to say the interior looks low-rent; it has lots of piano-black plastics and silver accents, even if the latter aren’t especially convincing. It’s only once you start operating the switchgear and door handles that you realise these same plastics are built for longevity rather than to give the impression of luxury. There are few dense, soft-touch surfaces, while the plastics farther down the dash are scratchy and brittle-feeling. EX and Sport models have a leather-covered steering wheel and gearlever, both of which give the interior a welcomed lift.